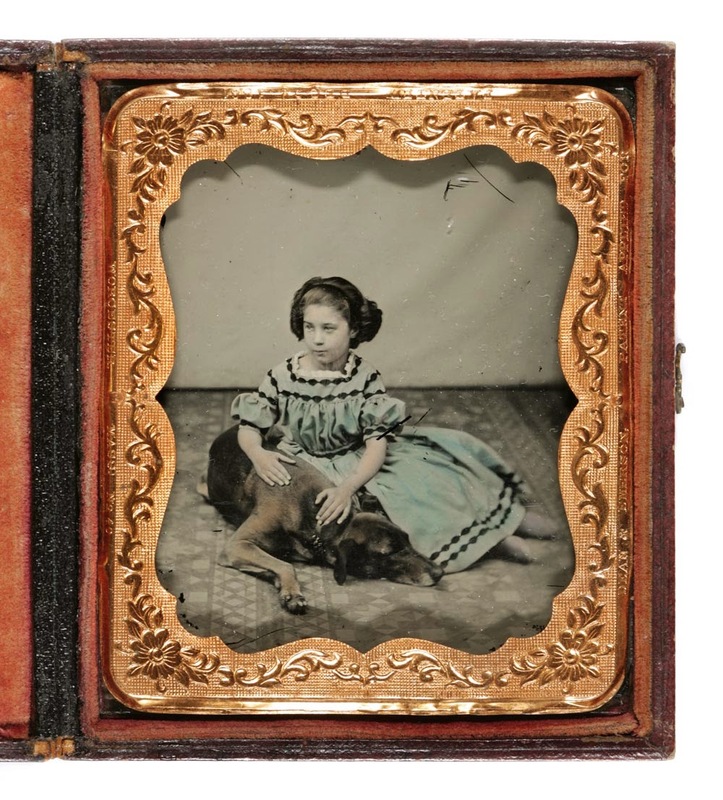 Hand colouring has been carried out since the invention of the daguerreotype in 1839 (although not readily available though in NZ until the 1950s) and subsequently ambrotypes, see example below (popular during the mid 1850s in NZ). 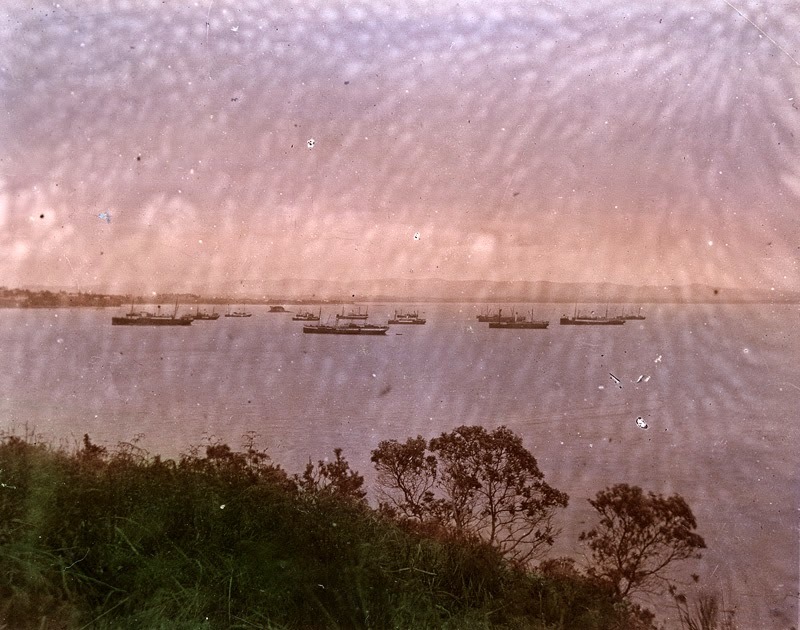 Prior to autochrome, an early color transparency (1903) with a painterly look and the advent of colour film (Kodachrome) by Kodak in the mid 1930s, this was the only way to inject colour into photographs (other than toning e.g. with selenium, which applies a colour wash to the entire image). It was effectively just another layer of the artistry that was already being carried out in the darkroom - where techniques to 'edit' image such as 'dodging and burning' and the application of masks were already widely used. Colour was usually in the form of oil paints, oil pastels, inks, crayons and colour pencils. Although the form chosen was often dependent on the format of photographic image. 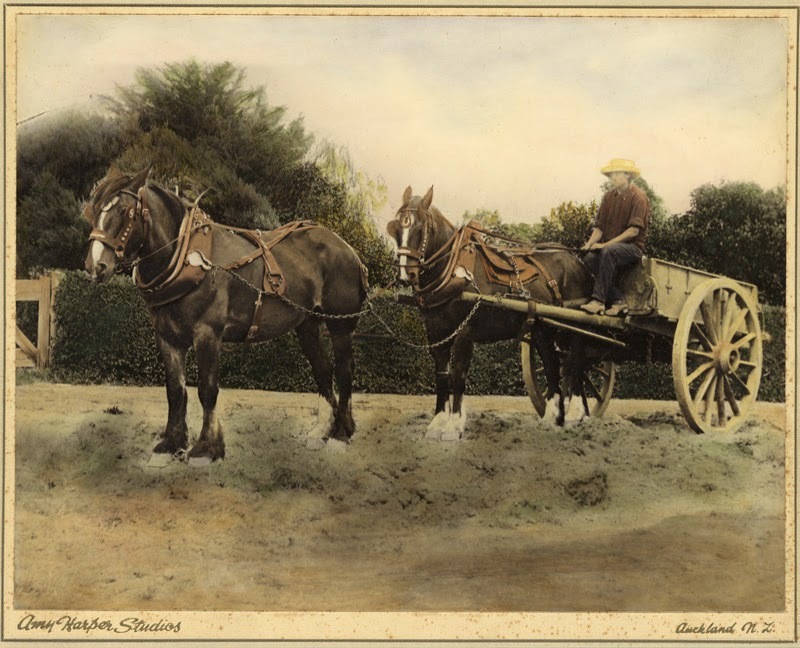 For example, once paper prints had become more widely available, crayons were used to colour these images. Colour was applied using brushes, fingers, cotton swabs or airbrushes. Usually the intention was to create as realistic an addition as possible. It was a highly skilled job and resulting images often looked naive or clumsy if the job at hand wasn't handled with extreme precision and a light touch. Skilled colourists added a surreal but ethereally beautiful effect to the image, which enhanced the original artistic intention of the photographer. 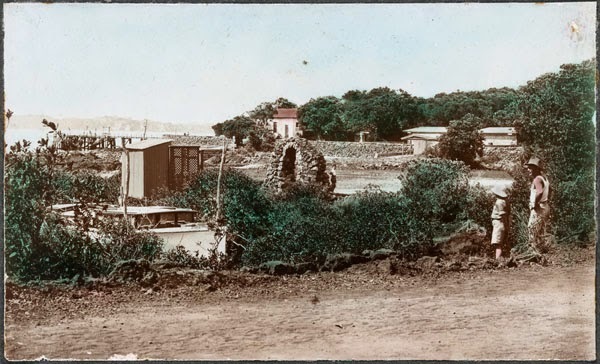 The process of colouring was not usually carried out by the photographer but by a colourist, often a woman, employed in the studio to do this work. Having a portrait coloured was a labour intensive and expensive process, meaning that like early photographs, it was originally only available to a privileged few. 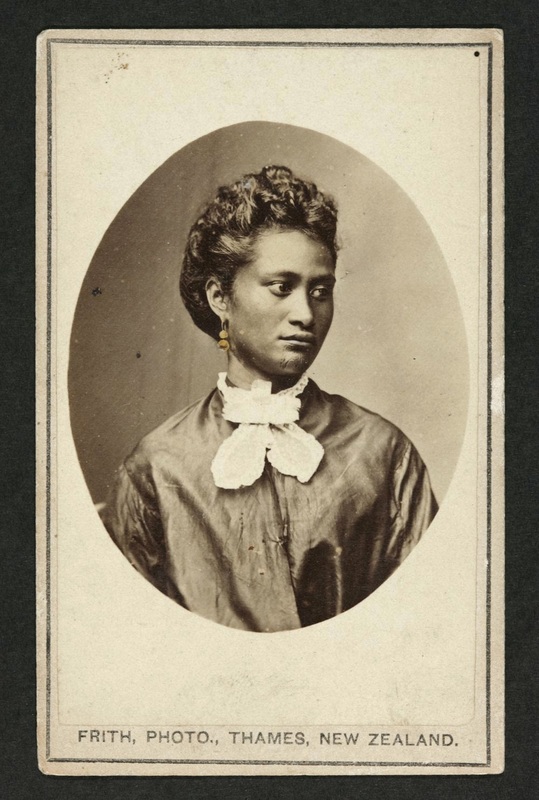 Helen Stuart (probably the daughter of the photographer Samuel Stuart senior) was one of the best known female colourists in NZ. 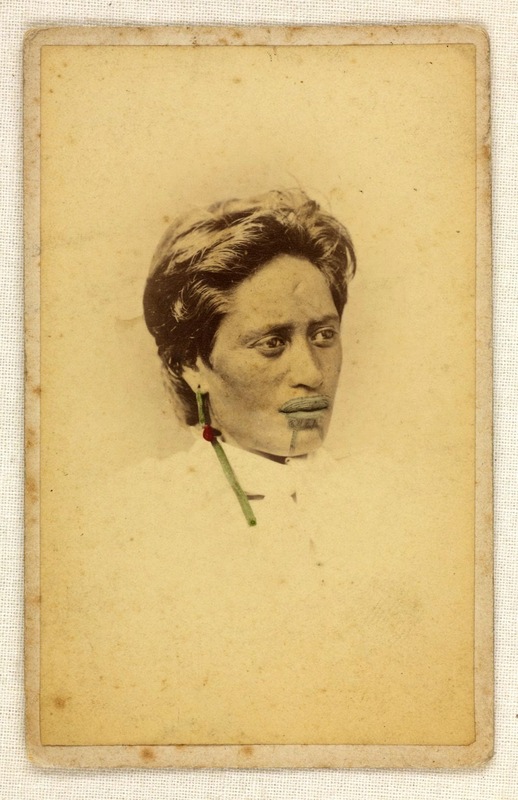 A report in the Christchurch Star newspaper indicates that her "coloured photo of a Māori" was part of an exhibition of New Zealand Art at the Royal Albert Hall in London (5 November 1886). 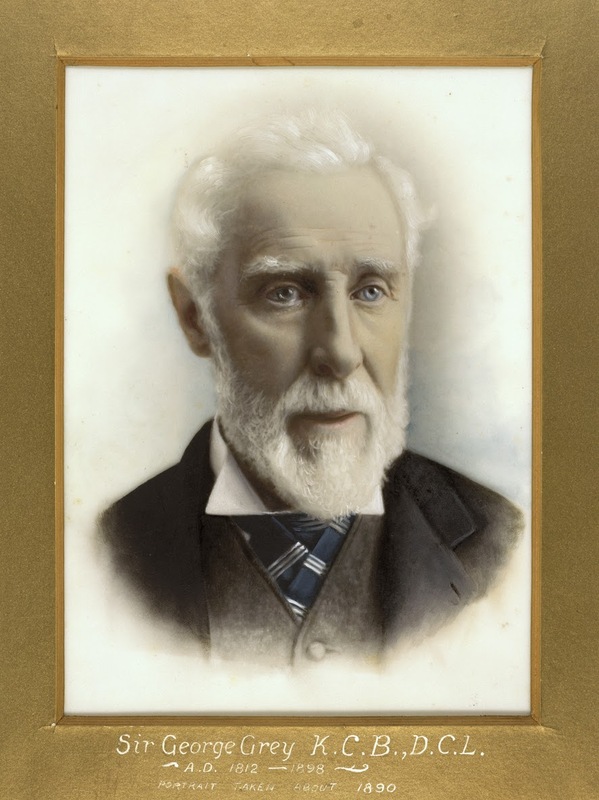 Other NZ colourists included the celebrated "Miss Carroll”, William Henry Davis who coloured portraits for George Hoby in Nelson and Edward Arnold who carried out the colouring work for the photographer John McGarrigle (although this not a successful partnership). 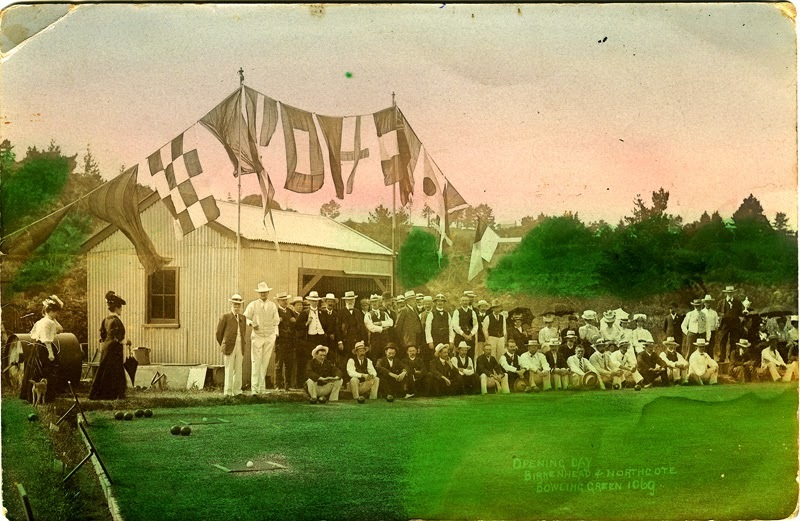 Henry Frith, whose photograph appears in this post, did his own colouring, which was reasonably unusual at the time. Due to the status of women at this time, the work of many female colourists was not credited, therefore their work frequently remains unidentified. You can find out more about a number of these colourists and photographers through the Photographers Database, an online index created by the library (when carrying out a search remember to enter [surname], [first name] into the search box). Colouring did not always involve applying colour to the whole image, sometimes small details such as jewellery were picked out with powerful effect using inks. This was the trademark style Henry Frith - an example of his work can be seen below and earlier on in this post. 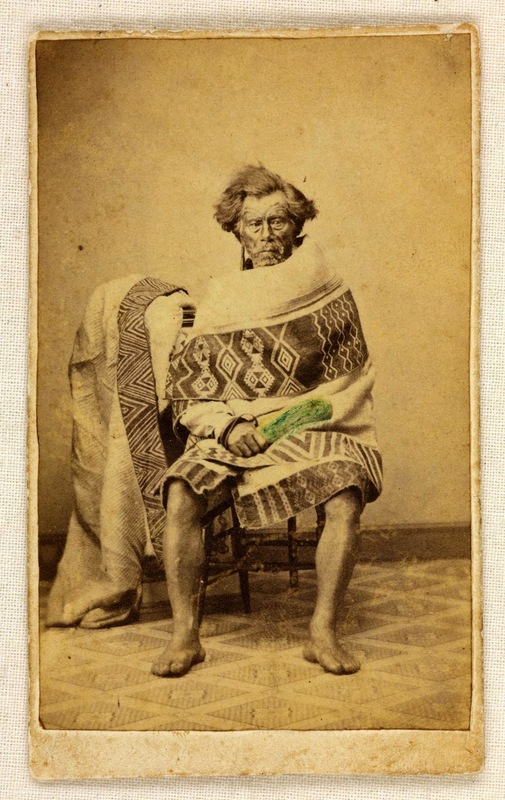 In the case of portraits of Māori featuring taonga / treasured items, such as mere pounamu / greenstone club, these taonga were accentuated by the addition of colour. Occasionally moko / tattoos were also treated in this manner. Stencils were also used for applying small areas of colour. Dry pigment mixed with gum arabic was added to the areas to be stencilled and finally by breathing over the image, the colourist could fix the colour by using the moisture in his/her breath. It is not just portraits that were hand coloured. 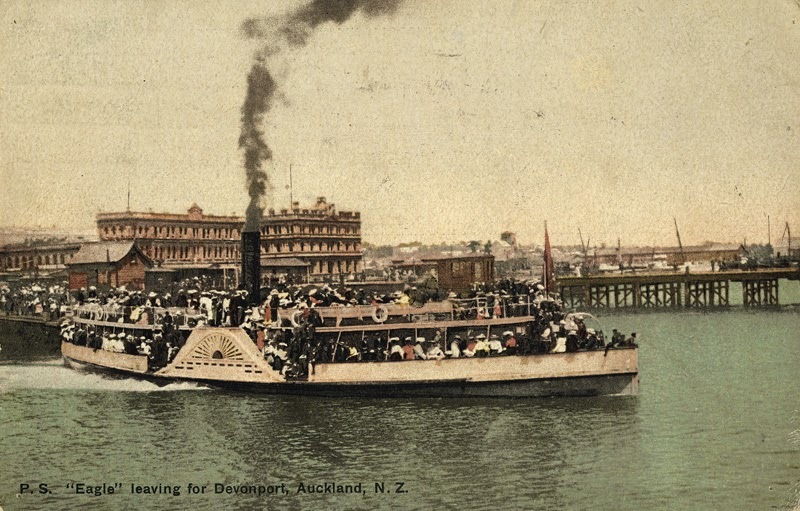 For example, many local scenes or commemorative events were coloured and reproduced as postcard souvenirs. Whites Aviation, the Auckland based company known for their stunning aerial photographs of NZ (1950-1960s) also produced hand coloured landscapes as popular decorations for people's homes. The process of colouring black and white photographs still continues today and has seen something of a resurgence in portraiture (particularly images of children) and as part of the renewed interest in analogue photography. Apps on mobile phones and Adobe Photoshop tools are able to digitally ape this colouration process. So whilst hand colouring has been around for a long time and its popularity has waned at times, it has developed into a true fine art form that shows no sign of disappearing. Nice selection of images, Natasha - as you say, the hand colouring adds a whole different dimension. Personal favourites are the Northcote Council dray and the Rangitoto Island image.